My one and only April Fools joke last week involved a new Kindle launching this month, and now it appears my joke may be closer to the target than you might have expected. Product supplied with cover in leather. The cover has internal battery recharged via the tablet itself. Edit 1: And now we know the name is the Kindle Oasis. Edit 2: And new info has leaked. The battery case is confirmed, and there are two Kindles in the pipeline. Edit 3: Another leak confirms the battery-case, and that the Oasis has page turn buttons. Edit 4: And now Amazon has confirmed the name and specs with a leak on its Canadian site. I for one am hoping that it has a Liquavista screen, and Twitter users have responded to Bezos' tweet and asked for their most-wished for features. "Please let it have proper clicking page-turn buttons! Touch screens and sensors are terrible replacements," one writes. Another one wished Amazon would release an upscale white Kindle: "Future wish: white bezels, allowing text to go up to the edge of the display, while still looking good," while a third asked for the return of Text to Speech: "Have text-to-speech or go away forever. The Keyboard is the ONLY good Kindle." Both a Liquavista screen and text-to-speech would fit with Bezos's calling the next Kindle "top of the line", but of course this is purw speculation at this point. What would you like to see in the new Kindle? I think it is likely an updated Voyage. Probably 6 inch but could be 6.8 to go against the Kobo H20. I don’t think the resolution will go up, so there needs to be other features to make this update worth it. May be a device that is charged via the case and lasts for a few months? I don’t think this comes with any drastic update like a Liqusvista display. That would be a useful addition, yes. Those were my choices…hopefully they will surprise us and really go all out and add audio. i can’t stress how important your request #2 is. the e-ink can handle it. i have a hacked kindle 4 with three times the font options. I know your probably locked into the Amazon ecosystem but items 1,2,3, and 4 already exist in the Kobo Aura H20. Not sure I agree on Kobo Aura H2O matching the Voyage quality…I do applaud them for the bigger size option that is not available from Amazon or Barnes and Noble at this time. Yes Kobo does have 2,3 and 4-and I definitely let Jeff Bezos and the Kindle Team know in the emails that I sent them. Unique features from competitive companies push both to the benefit of readers. My thoughts…If you want something, you ask for it directly! Jeff Bezos has not really made much public comment on Kindle in the last few years. For him to tweet about “a new, top of the line kindle” gets me to opine that this may be a major upgrade( almost all of his tweets are about Blue Origin). It seems hard to improve enough on the Voyage with E ink to make Jeff Bezos make pre- public comments-but who knows-Liquavista might be on the table. While I hope that Amazon comes out with a game changing device I worry that if popular it will be hard for Kobo or Barnes and Noble to compete. With E ink , anyone can bring a product to market-not so if Liquavista puts out a viable product-as Amazon would almost certainly not sell the tech to ebook competitors. agreed. voyage is still a much better polished product than aura. My Voyage is barely a year old. There would have to be a drastic improvement in features to induce me to upgrade. Eink’s 13inch screens are crazy expensive. It would be great to have 13inch Liquavista’s display to compete with Eink. Would it make sense for Amazon to sell more textbooks, newspapers and magazines? If it is another tablet based on what is in the product description regarding the charging cover – what a big disappointment. He said Kindle, and was pretty specific. If it’s not a Kindle then I am going to be pissed. Since a few years ago, the Amazon tablets dropped the Kindle name and only use the name Fire. This new device will be an e-reader. Maybe it has a charged cover to display two pages at once, like an opened book? its definitely a kindle… since fire is the tablet brand. BT and 3g, he didn’t say the 3g was an option but more details later. BT would make me believe audio is returning to the reader. I imagine that will include tts, audible access and Alexa possibly built in. Yes, I think the Bluetooth, if correct, is to provide better integration between Audible and the Kindle store. May be it can connect the device to a Bluetooth speaker or Alexa, to read out a purchased audio book. The only feature that personally interests me is a larger e-reader i.e. 8 inch or more. Unfortunately, there is no chance of that happening. Someone suggested to me that this could be a moderdized DX with a lighted cover that is charged by the device. I would go for that. I really like the size of my DX. A touch one would would be great. Bluetooth might prove very useful. I’ve long complained that the epaper Kindles need a BT keyboard for note taking and a BT mouse interface that lets mouse buttons be used for turning pages. The latter would be great for people with mobility issues, finally giving Amazon a disability-ready ereader. Perhaps this explains the mandatory upgrade to the Kindle firmware that happened recently. 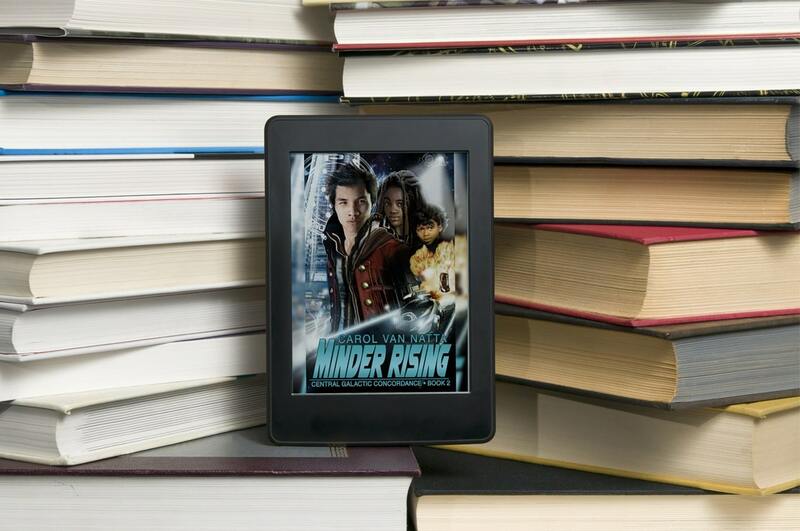 That is, new firmware might be required to access any new features on the new kindle, and older kindles had to be updated to ignore, or to ‘dumb down’ any features in new version books that they could not otherwise display. If so, there will also be a new version of the kindle eBook specification, and new versions of the eBook creation software that can embed these new features into new “8th Generation” kindle BOOKS. Whatever, we will know soon enough. No, that was a minimal update that only changed a few security certificates. We know this because someone took the update apart and checked. And besides, Amazon wouldn’t bother to give the oldest Kindle new features which the hardware can’t support. It’s not worth it. If it is a Liquavista product, of high quality(and not overpriced), it will be some time before competing products emerge. Unlike E ink Amazon owns Liquavista. A tablet-like unit may make it more difficult for Barnes and Noble and Kobo to compete in the e-book market. If it has a Liquavista screen, I will at least have to get one to try it out. The ‘cover-has-battery’ statement is intriguing. I cannot imagine why an e-ink device would need that, so in my mind it implies this could indeed be Liquavista, needing back light only when external light is inadequate. Audio would be welcome, if they do it better than before (Fire-quality TTS with same language options, better Audible player, BT, more or expandable storage). Immersion reading? Word Runner? Why not. Let’s have one with everything on it. For bonus points they should release a Kindle SDK so third-parties can create sharing extensions (Evernote, Pocket etc.). Amazon doesn’t make it convenient to export annotations for private use (My Clippings and kindle.amazon.com do not count as ‘convenient’, and have not been improved for years), and might as well let someone else have a crack at it. Not just for this Kindle but for all of them. I agree, the battery in the cover implies a Liquavista screen. That’s why I was careful to mention it. I certainly vote for positive page-turn buttons. A Liquavista screen would be very attractive, at least in principle. I’m planning my next book to use color illustrations, tailored to work OK also in grayscale. I also got a 5.7.3 update to my Paperwhite. What’s the normal lead time between announcement and availability? It used to be only a week or two, back in the early kindle days, but what’s the current trend? I’m really hyped about this, as my 1st gen Paperwhite is starting to show its age (mostly physical scratches, as I don’t like covers). I was hoping (like so many others) for a new Voyage before Christmas last year, and this could well be the replacement I’m dreaming of. It takes about a month to go from the announcement to its release. I hope it has a warmer light. Everyone is rolling out warm night-reading options on Android and iOS, I wish the EInk devices would follow suit. The harsh white light is the worst part of my Kindle Voyage. Back when I used a Sony reader, I taped orange plastic over the goose neck light of its case and, for me, it greatly improved the reading experience. Amazon’s obsession with “paper white” has always seemed off the mark to me. That’s not what print books look like at all. Font weight choices like on the Kobo. Physical page turn buttons. haha, that’s gonna be so disappointing, again..